Beyond simply stress-testing devices, the testing services provided by modern electronics partners can be used to pre-plan for much of your post-sale support. The likely failure rates on each component or part can be calculated, allowing you to pre-produce sufficient replacements in the same run as the device itself. This greatly reduces costs associated with post-sale support, and especially helps prevent the need to fire up the lines again to produce spare parts. Few electronics manufacturers offer integrated software services, but those who do know that it can vastly improve the quality of the final device. Software can be built to match the exact components and PCBs being produced, without the need to outsource software design to a third party that's unfamiliar with the hardware. In most end-user devices, good software is at least as important as good hardware. Integrated software services ensure every device functions at peak capacity, as well as making patches and upgrades easier as time goes on. The workforce involved in an electronics project will ebb and flow as the project continues, especially when post-sale support is factored in. A good electronics manufacturer will know the process well enough to plan ahead for who you will need, and when, to ensure there are no manpower-related delays. Likewise, with proper planning, there's also no need to keep workers waiting around "just in case." 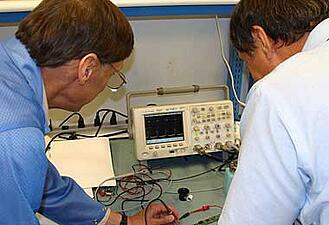 Reducing your payables turns straight into greater profits on the electronics produced. Many don't realize this, but an increasing number of manufacturers are now providing end-user support directly via virtualized call services. After all, who would be in a better position to put together great documentation on the device than the people who designed and manufactured it? Your product can be backed up with post-sale staff who are fully informed and ready to assist customers with great service. 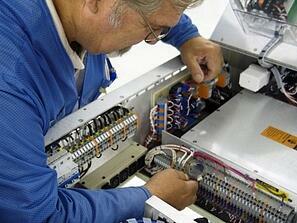 Additionally, thanks to the parts pre-production, actual repair services are an option. Far too many businesses -especially those with overseas production- waste far too much money sending out entire devices as replacement. You can save significantly on warranty support by only paying to replace components rather than complete units. Going with a "fire and forget" electronics manufacturer might save a little money in the short term, but you're likely to find a lot of long-term hurdles you hadn't expected. Partnering with a high-quality domestic manufacturer will bring far greater value and ROI across the lifespan of your product, as well as improving your customer satisfaction rates. Contact ZenTech today to learn more about how modern domestic manufacturing makes better products.